Sam Welham and Richard Beckett are two London-based architects and designers. Their latest creation is a beautifully detailed 3D printed column that displays just how much precision and depth the technology can bring to architecture. 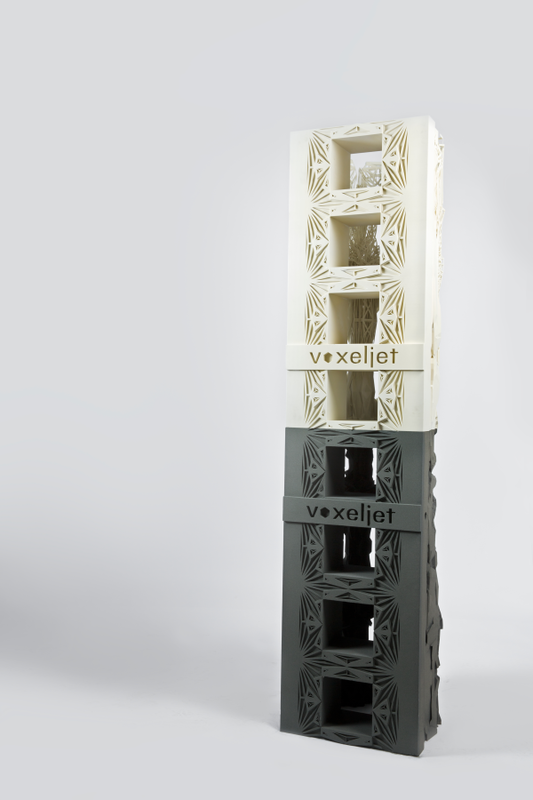 Printed using a Voxeljet VX4000 printer, it stands 2.1 meters high and combines two distinct sections, each of which was created in a single print. The top, white part was printed in 34 hours in PMMA plastic, a high resolution filament, and boasts a layer thickness of 0.12 millimetres. The bottom section was printed in 20 hours in sand, with a 0.3 millimetres layer thickness. To complete this large scale job, Welham and Beckett travelled to Voxeljet’s service centre in Friedberg, Germany. With complex structure, precisely detailed design and a striking aesthetic, the column is a clear articulation of its inventors’ belief that 3D printing is much more than a mere prototyping tool and is, rather, a legitimate means to manufacture full sized architectural pieces. Visitors to the Additive Manufacturing Users Group Conference in Tuscan, Arizona can see the column from 6th – 10th April. 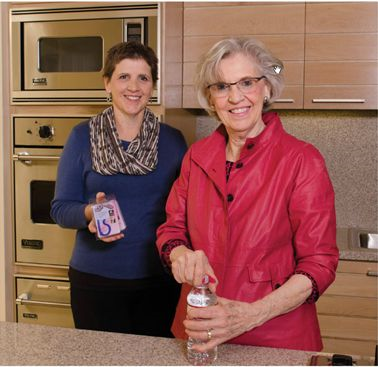 Janet Scaturro and daughter Luann Scaturro are two cancer survivors who have created a product that will help others who have been touched by the disease to deal with day to day tasks. After beating cancer, Janet was left with neuropathy in her right hand, which makes opening bottles and cans excruciatingly painful. Though Scaturro can rely on the help of her devoted inventor and husband to help her with such jobs, the experience gave her a stark thought: what about people who have to do it alone? This inspired the Scaturros to design and create Capeze with the aid of a 3D printer and, though it might seem like a fairly trivial invention to many, for those that suffer from any condition that weakens or causes pain in the hand, it will make a huge difference to their daily routine. 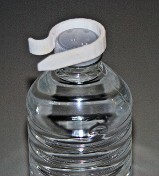 It’s a small plastic ring that slides directly onto a bottle cap. The user just needs to give it a very slight twist and the cap slips off easily, requiring very little pressure or force. Opening a can is just as easy, as the Capeze slips under the tab and allows the user to pop it open with a small push. You can order a Capeze from Shapeways in a range of colours and have it engraved with a personalised, inspirational message of your choice, at a cost of just $10. For every Capeze sold, a donation will be made to fund research into cancer therapies and medicines. At our weakest moment, we tap into veins of creativity, resourcefulness and determination. 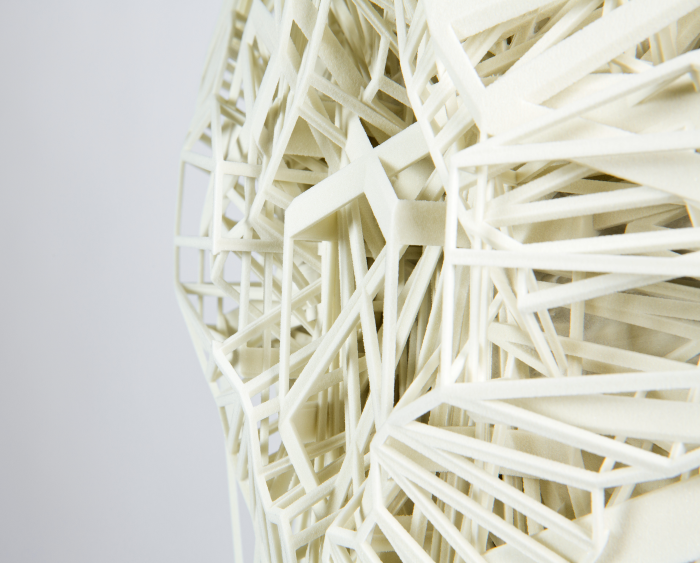 Romanian born artist Ioan Flores has long been interested in the creative potential of 3D printing. In previous pieces, such as his 3D Printing Vending Machine and 1800 3D Covered Wagon, he has used the technology to render sculptures that re-interpret iconic items from America’s cultural history as surreal, futurist art. His latest project, which premiered in New York this week, is his most interesting yet. A 3D printed house based on Mobile Homestead, the final project of the late artist Mike Kelley, the piece was created using plastic 3D prints that were then expanded using large resin moulds, which enlarged them up to 30 times in size. As the artist uses nano materials, which dictate how the polymers and paints behave, internal 3D dimensional structures are created before Florea transfers the shapes to a canvas. This process was specially developed by Florea in order to give his pieces a liquid metal finish. Like Welham and Beckett’s Column, the house was printed on a printer from Voxeljet, the AG, one of the largest available. 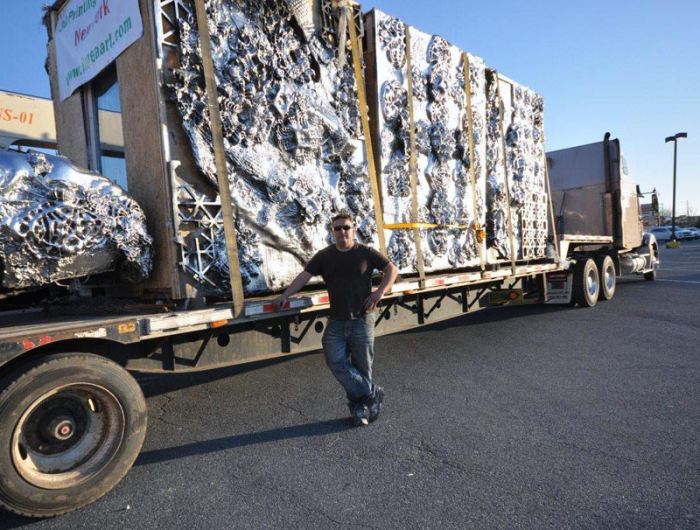 Florea then loaded the piece on to an 18 wheeler flatbed truck before driving it from Illinois to Manhattan. 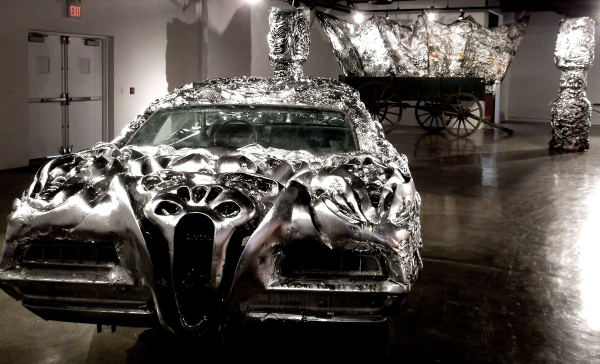 One of the pieces on show is the liquid metal Ford Torino below.